We know gum disease can cause tooth loss, but new research suggests it could also affect healthy brain function. Is there a new reason to take good care of your teeth and gums? Recent research published in Alzheimer’s Research & Therapy found that those who have long-term gum disease are 70% more likely to suffer from dementia. While the Taiwanese study didn’t prove a direct link, it did find an interesting correlation: that those with gum disease tended to see their brain function deteriorate quicker than those without. 9,300 patients who had recently been diagnosed with a condition called chronic periodontitis – a form of persistent, advanced gum disease which can lead to tooth and bone loss – were compared against 18,700 individuals who didn’t have gum disease over a decade. Of these subjects, 115 suffering from gum disease developed Alzheimer’s disease, while 208 of those without gum disease developed Alzheimer’s. These results seem to show that those who had gum disease for more than a decade showed a 70% higher chance of developing Alzheimer’s. However, more research needs to be done to prove the link between dental health and degenerative diseases like Alzheimer’s. What’s more, the increase in numbers is still very small, meaning gum disease is not necessarily a precursor to dementia. Still, this latest large-scale research project does come on the back of mounting healthcare advice about how our wider health can be influenced by the health of our mouths. This isn’t the first study to find a link between Alzheimer’s and gum disease. 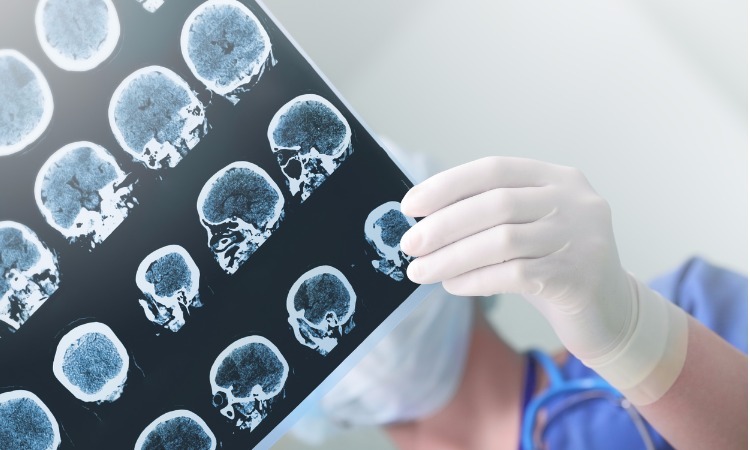 Just last year researchers from Kings College London and the University of Southampton conducted a much smaller study of 59 participants with mild to moderate Alzheimer’s disease concluding similar results. What’s more, inflammation as a result of prolonged dental problems has also be found to lead to an increased risk of suffering cardiovascular diseases such as heart attack and stroke. So how can you look after your brain health? And by practising excellent dental hygiene too, you’ll find these are all great ways to keep your heart healthy as well as your teeth and gums. Bacteria found in plaque and tartar that is allowed to build up can cause gum disease, an inflammation of the gums that can cause lasting damage. The signs include bleeding and receding gums, abscesses and tooth loss. Therefore, the best way to prevent it is to practice good oral hygiene. Use a soft-bristled toothbrush to gently brush the teeth and gums twice a day, including where the tooth meets the gum line. Floss between each tooth with care, gently moving the floss under the gum line. Use fluoride toothpaste and mouthwash, especially after eating. Eat foods high in calcium (such as sugar-free yoghurt, cheese and milk) and opt for these as snacks over sugary foods, drinks and carbohydrates. At Number 18, we offer a range of gum disease treatments to help restore a healthy mouth, so if you are worried about your gums, contact us to book your next dental appointment at our Notting Hill dentist.